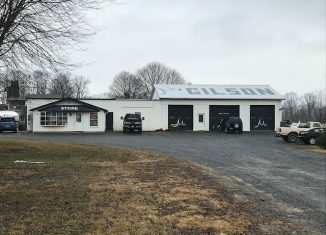 Gilson snowboards and ski warehouse. In late March, I had the opportunity of job shadowing for the day at Gilson Snow in Winfield, PA. I spent the morning in the marketing/sales area of the company. When visiting, I had first hand look of what their marketing/sales department does to promote the company’s products. The company was also promoting their big event in July, “The Gilson Snow Day.” This event is one big summer party at the company’s location in Winfield. It was interesting to see the map they have laid out for the snow day, and the vendors how they were bringing to this event. In the middle of the job shadowing, I went into the warehouse to see how they make the snowboards and skis. It was really fascinating to see how they make their products. The staff was friendly and showed me how the process goes and that communication is their number one strength for success. Overall, my job shadow at this company was a great learning experience for going into the advertising and marketing field. I learned a lot during the course of my morning at Gilson. The employees at Gilson take pride in their work and the products they make. My takeaway points for the day were have good communication and have pride in what you do. So if you’re looking to buy a new snowboard or set of skis then check out Gilson Snow, and also check out the Gilson Snow Day in July. The Roaming Husky, and Mass Communications major at Bloomsburg University.